Jaguar's electric SUV will be chauffeuring people to the airport. Jaguar is ready to with its new I-Pace SUV. The company's of a Tesla Model X, which should help it win favor with consumers. The I-Pace will also have a secondary market as a fleet vehicle, as announced by Jaguar. The UK automaker has signed an agreement with travel services company We Know Group, which will initially put 50 cars to work chauffeuring passengers to London's Heathrow Airport with the option to add another 150 cars in the next 12 months. Heathrow Airport says the electric fleet will be able to support 1,000 trips to and from its terminals per day, which would reduce nitrogen oxide output by eight tons. The I-Pace uses a 90kWh lithium-ion battery, allowing it to travel up to 298 miles on a single charge. Since the average chauffeur in Britain travels around 114 miles per day, the I-Pace will easily be able to handle a daily workload on a single charge. The chauffeur fleet will not only save money on gasoline, but maintenance as well. Jaguar says the I-Pace only needs to be serviced every two years or 21,000 miles, which should reduce running costs compared to a combustion-engined car. 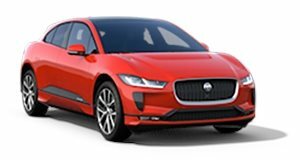 If you fancy a ride in a new I-Pace, be sure to fly into Heathrow and book Jaguar's EV SUV as a chauffeur car. EVs are starting to grow in popularity with consumers, and now it seems they have a secondary use as fleet vehicles.